For centuries, the Rohingya have called Myanmar (Burma) their home, but the Burmese government does not recognize them as citizens anymore. The Rohingya are a small Muslim population that have been enduring severe persecution since 1948 as they are one of the most oppressed minorities in the world. Since 2012, several hundred Rohingya have been killed because of their religion and ethnicity in widespread systematic attacks, while their homes and businesses in Burma have been looted and burned. Hundreds of thousands, including women, children, and the elderly have been displaced and forced to live in camps in inhumane living conditions. In addition, thousands have fled the country and many are still stranded at sea with nowhere to go. 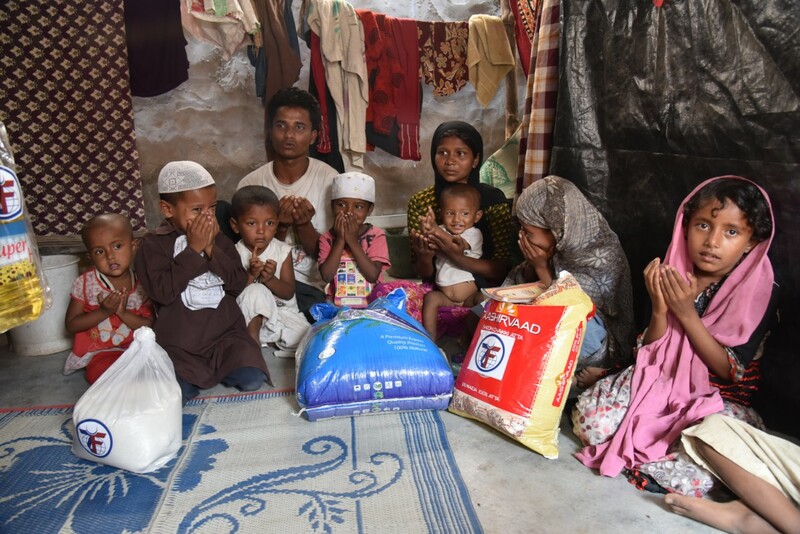 Zakat Foundation of America (ZF) is providing food packages to the struggling Rohingya Muslims to help ease the pain and misery they face every day. Your generous donation will go a long way in helping to support these brothers and sisters from Myanmar as even one food package will benefit an entire family for one month.